TP Mechanical has earned ISO 9001:2015 certification for the company’s Quality Management Systems for prefabrication. The company, which serves large commercial construction projects, utilizes prefabrication to reduce construction costs, shorten construction schedules and decrease waste and scrap. 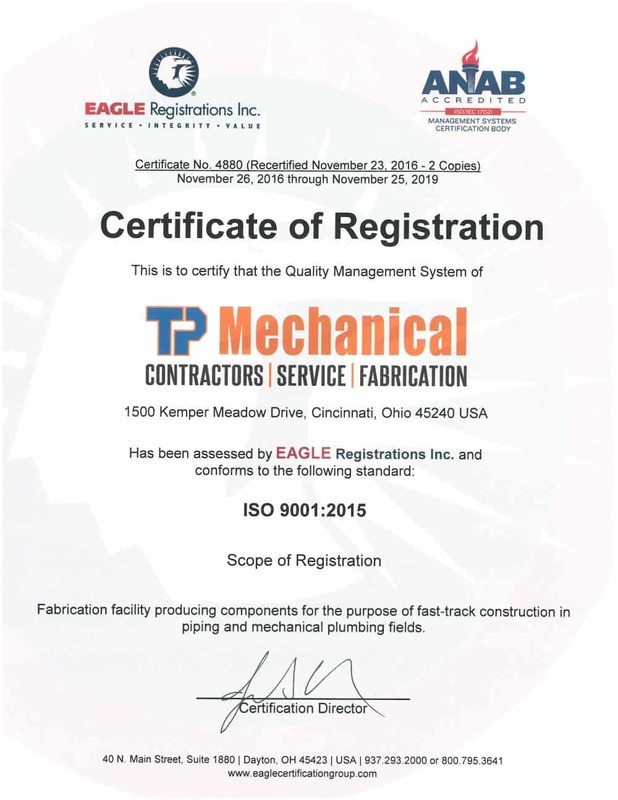 The company earned its registration for “prefabrication of components for the purpose of fast-track construction in the piping and mechanical plumbing fields.” The firm’s ISO 9001:2015 certificate is registered through Eagle Registrations, Inc., and ANAB accredited firm.